Fujitsu unveiled Dual Touch Screen Concept Handset at CEATEC 2010 a tech show taking place in Japan.It is a design concept and the phone is pretty well built. The phone looks very futuristic like from a Sci-Fi movie. It has a nicely-sized clamshell gigantic flip.This gorgeous concept handset comes with two 960 x 480 touch displays and both displays can be rotated between portrait and landscape. 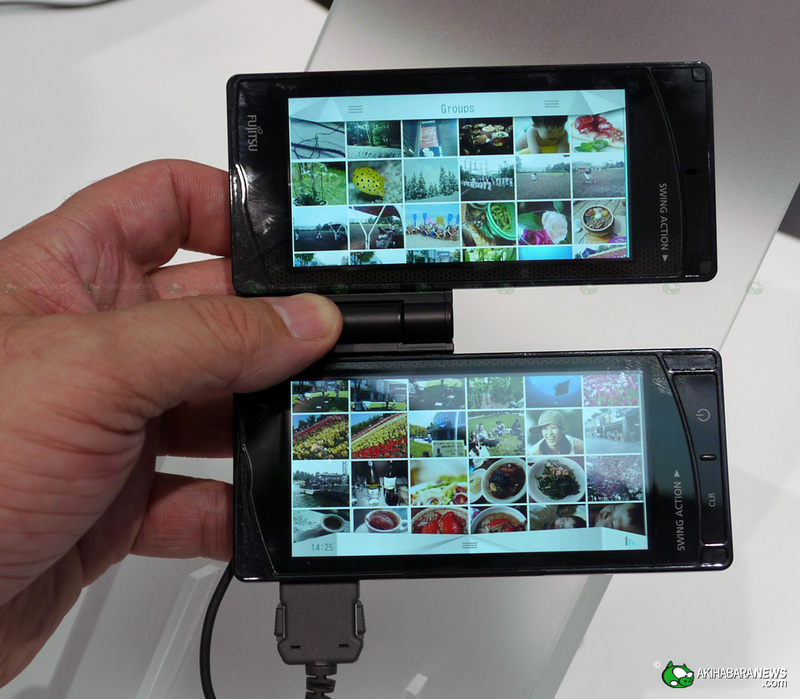 Fujitsu includes a photo sharing function that allows the user to move images from the gallery on the bottom display to the contact list on the screen above. The two screens would make it a great experience for web browsing as well as movie viewing.This Futuristic Mobile Concept will production stage in about a year. Still then we are waiting. Fujitsu Dual Touch Screen Concept Photos..